Read Lily's latest blogs here. Lily Scivicque is a Licensed Professional Counselor. She specializes in working with individuals, couples and families to address a variety of concerns, including stress management, depression, anxiety, trauma, infertility/adoption, relationship issues, and life transitions (i.e. going to college, moving internationally, embarking on the journey of parenthood). 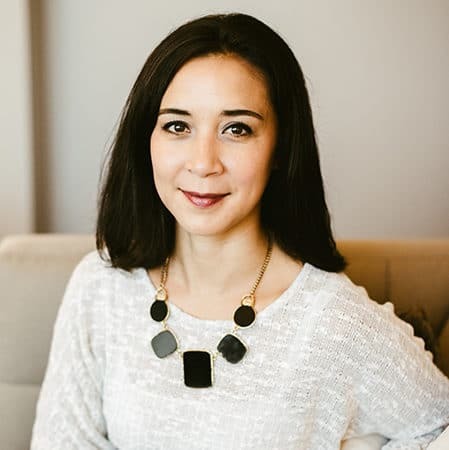 Lily received her degree in Marriage and Family Therapy from Richmont Graduate University in Atlanta, Georgia, and has extensive experience in private practice, recovery programs and hospital settings such as Grady and Ridgeview Institute. Whether you would like to address current events or resolve past trauma, Lily is equipped to walk with you on the road to renewal and wholeness. Clients describe Lily as easy to connect with and her communication style as perceptive and gentle, yet direct and authentic. Lily uses an integrative approach in therapy, drawing from methods of narrative, attachment, solution-focused, systems and motivational interviewing theories. She also practices spiritual integration if the client wants to explore theological implications of issues. Lily and her husband both grew up overseas (Tunisia, Morocco, France and Thailand), are drawn to all things international and she enjoys spending quality time with him and their three daughters, exploring the outdoors, engaging in their community, cooking new foods, and digging around in the vegetable garden.